Last Friday, I attended the Westmoreland County Firemen's Association Fire Prevention Awards presentation. 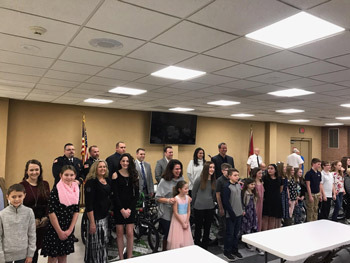 Several students from school districts in the 58th Legislative District were recognized for their fire prevention posters and essays. What a fantastic job by the association, teachers, parents and students. With the thaw out of spring comes the growth of potholes on Pennsylvania’s roads. Extreme fluctuations in temperatures, coupled with an active snow season, can contribute to more potholes on our roads.